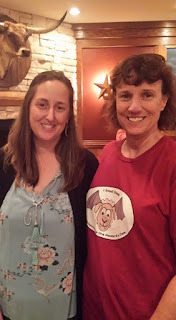 There are so many great authors living in NC and lots of chances to meet them. 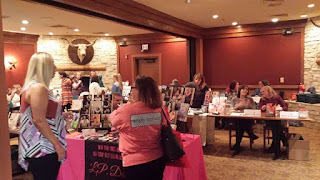 Carolina Romance Writers is the local RWA chapter. 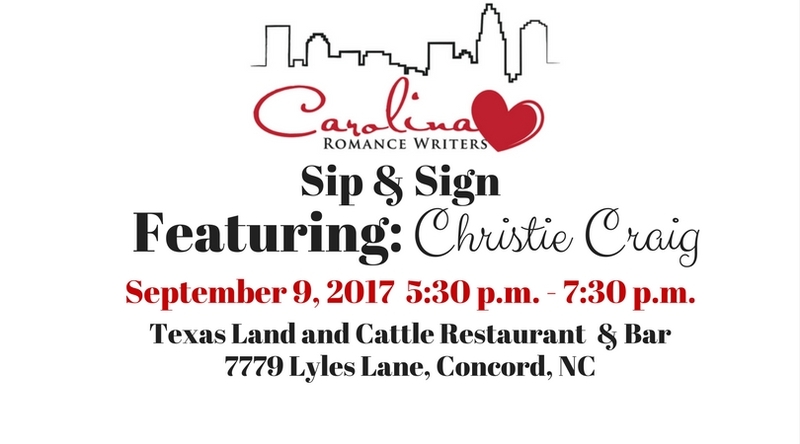 They put on an event in Charlotte for readers to stop by and mingle with some of their members. 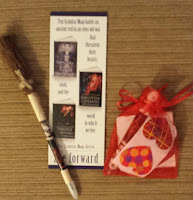 They gave out nice tote bags with swag and everyone was friendly and excited to talk about books! 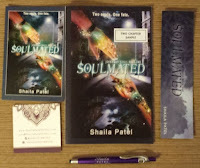 I took some pictures and got some signed swag to give away. 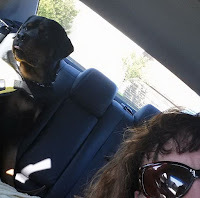 I drove to Charlotte with my friend and author Adrienne Wilder along with my date, Pello, the fart ninja. I caught a shot of Adrienne Wilder (right pic wearing a knit hat). 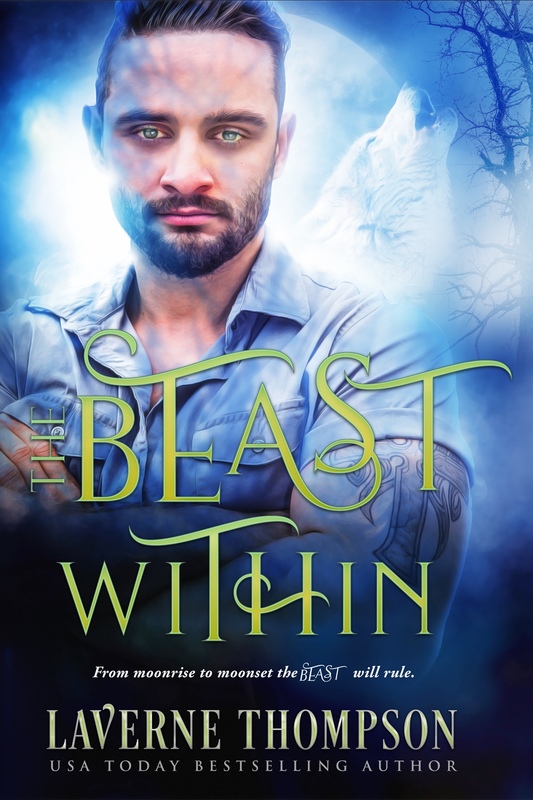 Adrienne just had a contemporary mm romance release, Wild. 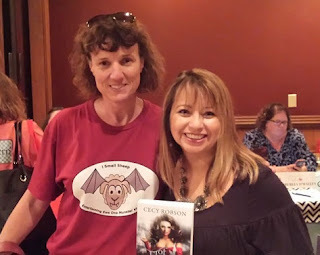 I was excited to meet Cecy Robson. 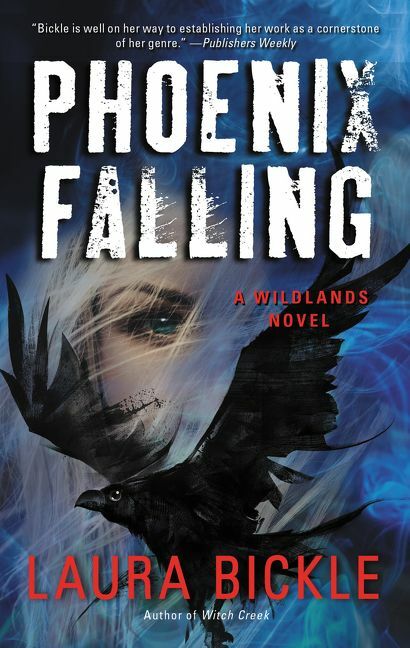 The second book in her Weird Girls Flame Series comes out this month. 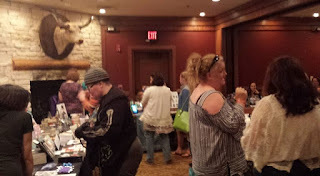 She gave me a signed tote and swag to give away. I finally got a chance to meet Zoe Forward. She has a new PNR out. Rawr! Nancy Northcott was also there. She has a new sci-fi anthology out, Outcast Station...which I am reading right now! She also writes PNR and historical fantasy. 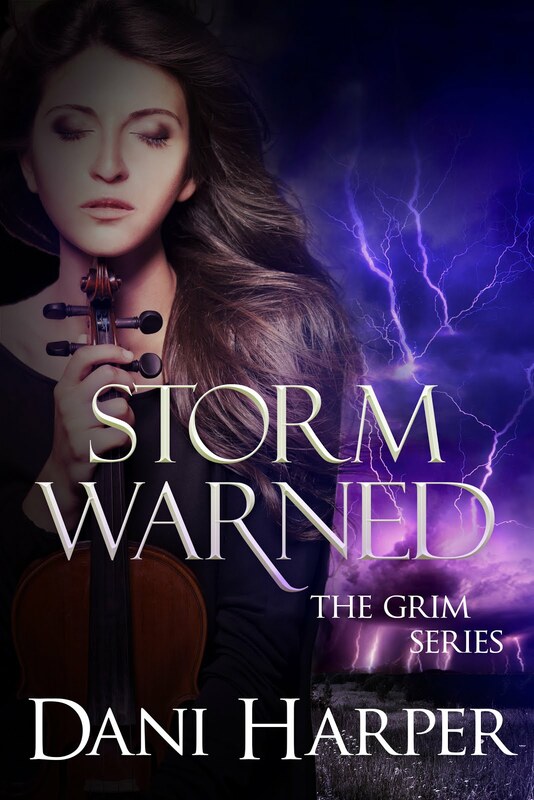 Caroline Lee has a sweet coming of age PNR series, Everland Ever After Tales. Little Red Book One is free on amazon. All the covers in this series are gorgeous! 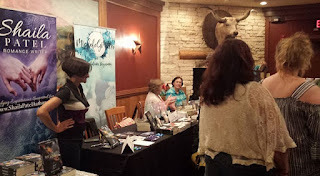 She also writes historical romances and contemporary western romances. 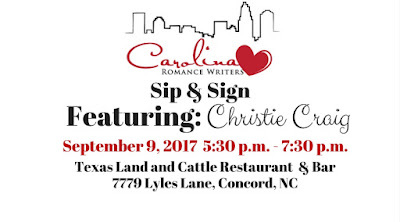 Carolina Romance Writers brought in New York Times Best-Selling author Christie Craig. She has written more than 30 books and thousands of magazine articles. 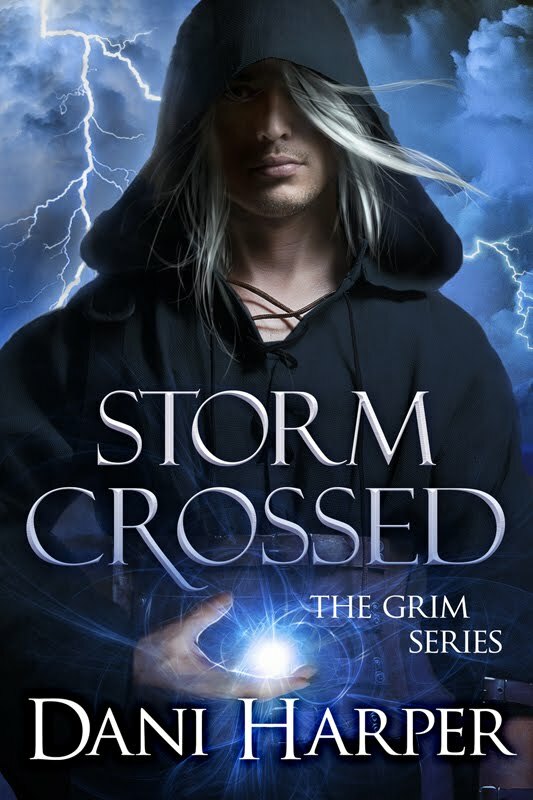 She is also author CC Hunter writing the YA dark fantasy PNR series Shadow Falls. 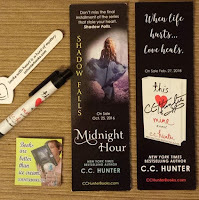 CC Hunter has a book that is very special to her coming out Feb 27, 2018. This Heart of Mine is a YA romance and mystery thriller about a 17-year-old girl who receives a heart transplant. One winner will get all this swag! Lots of it signed. Yes, would like to read Caroline Lee's books, The Prince's Pea sounds great. 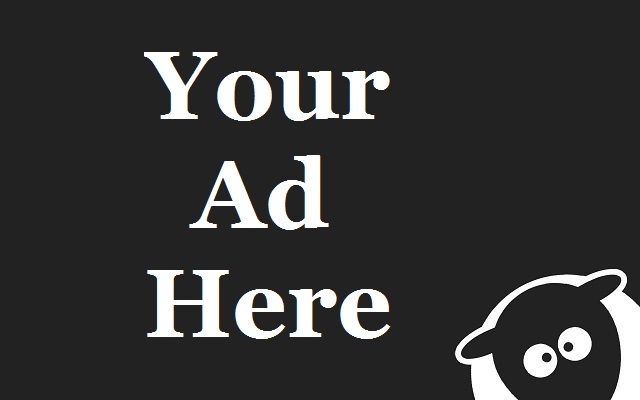 "Any book or author catch your eye?" 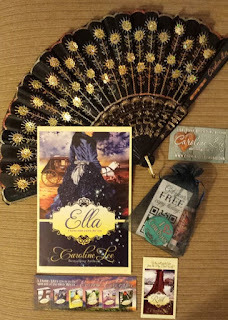 I can't help but notice the book "Ella," because it's by an elegant fan! I would like to try Zoe Forward, and then I would like to read them all. 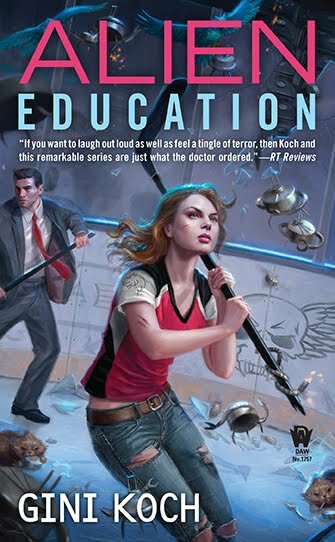 I like Cecy Robson's books, and The Herald of Day has an interesting cover, so I'll have to check and see what it's about! I want to go to this event! All the authors look great!! Caroline Lee, sounds great!!! Both books by L P Dover seem like ones I would enjoy reading. I would like to read Cecy Robson.